Is it time to re-evaluate the amount of public money utilized to subsidize sports stadiums at the expense of other community needs? The editorial team at FormSwift believes so. With that in mind, FormSwift shares an easy-to-digest, user-friendly resource to begin learning about the misplaced spending priorities of many state governments regarding sports stadiums. From Dallas Cowboys true believers to die-hard high school pigskin fans, many Texas residents take massive pride in their gridiron heroes. However, that fervor can be detrimental to the public good in at least one way: the usee of taxpayer moneys, sometimes in the form of selling bonds, to finance stadiums at the high school, college and professional levels. Those spending priorities often come at the expense of education funding. In 2009, the Dallas Cowboys opened a stadium that cost $1.2 billion, and $325 million of that amount came from Texas taxpayers. It’s a common arrangement. Nationally, between 2000 and 2015, the public has contributed more than $12 billion to the building of professional sports facilities. According to University of Michigan professor Judith Grant Long (formerly of Harvard), the Houston Texans franchise is one of about a dozen NFL teams to receive more taxpayer money for stadium construction than the actual cost. Did that team give the extra money back to the state? No, they kept the remainder. Pro sports teams sometimes predict that stadiums will bring in a certain amount of revenue for cities and states. In most cases, though, the facilities fall far short of those projections. As a result, the cities and states that support them might go into debt. In addition, franchise owners often argue that stadiums create new jobs. Unfortunately, those positions tend to be temporary and most of them pay low wages. In the end, it’s a business model by which taxpayers assume much of a stadium’s business risk. Making matters worse, they often have no say in whether or how much of their money should go to pro sports teams. 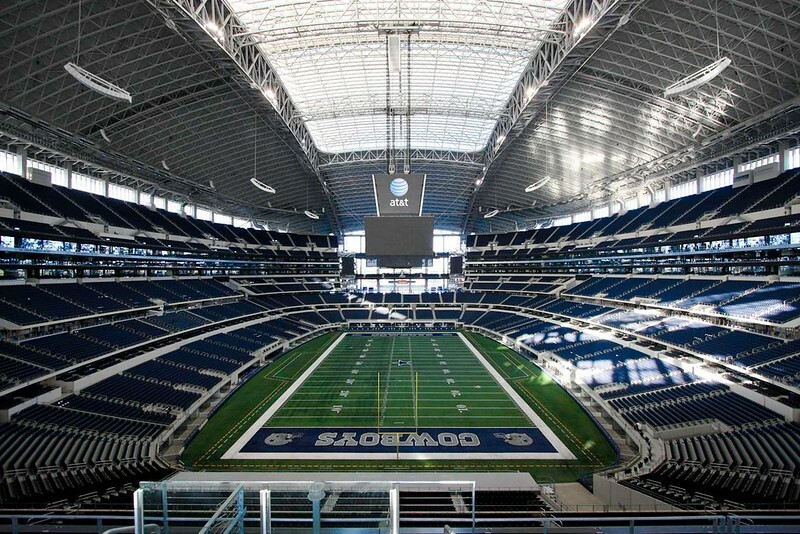 In 2001, a high school in Southlake unveiled a stadium that cost $15.3 million to build. A $60 million stadium in Allen debuted in 2012. The school district in McKinney is now building a stadium that will cost $70 million. When it comes to their football facilities, public colleges and universities in the state are also willing to spend freely. For instance, in recent years, Texas A&M University has allotted $450 million to stadium renovation. Likewise, since the mid-2000s, the University of Texas at Austin has been working to enhance its stadium at a cost of $176 million.